To Sophie Walker, journalist, author, politician. From Cat Crossley. You are the face of women in politics, the face of change, the face of the future. 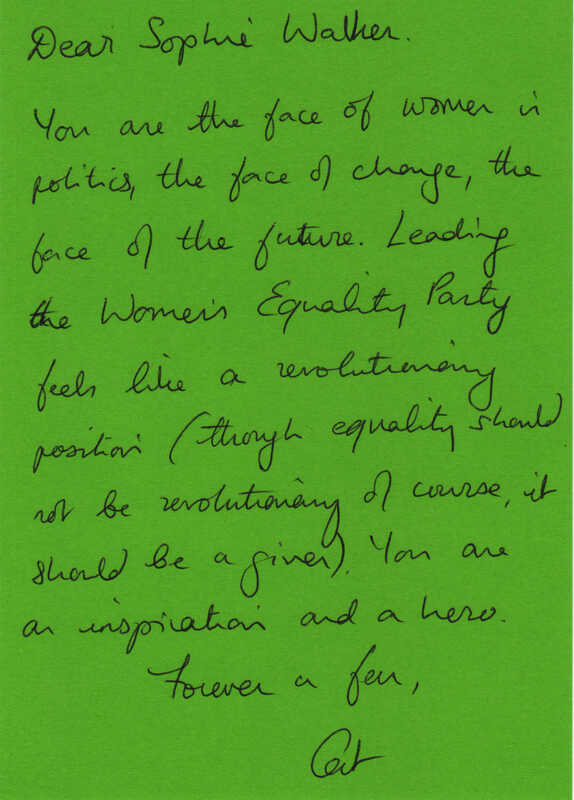 Leading the Women’s Equality Party feels like a revolutionary position (though equality should not be revolutionary of course, it should be a given). You are an inspiration and a hero. journalist, author, politician. Born 1971. More information about Sophie Walker.